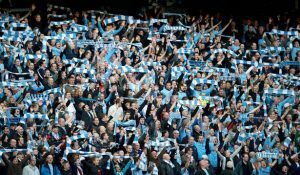 If you have become familiar with the importance of the Manchester City F.C. – Sierra Leone Support team then no doubt you have a keen interest in it. Perhaps this is leading you to think of ways you could be of help? Here are a few suggestions. If you happen to be a traveller then perhaps Sierra Leone will be one of your destinations on your list. If so, then upon visiting this place, do make a point to travel in the mini bus. This is the bus that the support team owns and they are using it as part of their fund raising activity. The money they charge for the use of the bus goes directly to their teams and helps them to purchase many different items they need for the team, helping them to be more self-supportive. What may seem like a simple task such as using the mini bus to you, is a very important source of income for the team. If a trip to Sierra Leone is not in the works for, you don’t be too disappointed as you still have an opportunity to support them. You can do so through monetary donations or even through new and used football equipment as well as other items like educational materials. Another very effective way to be of help to the team members is by spreading the word. By informing others as to the importance of a support team such as this, will raise awareness about them which they really need to continue on with their game. You can do this by talking to your sports buddies about this amazing Man City team and inform them as to how the team came about and how supportive the Manchester City UK team is of them. Share the story about the bus with them, and this may encourage them to become involved in some way.